The ‘home of the future’ has long intrigued designers and popular culture alike. Whether it was the dream of the fully mechanised home or the notion that technology might liberate us from home altogether, the domestic realm was a site of endless invention and speculation. But what happened to those visions? Are today’s smart homes the future that architects and designers once predicted, or has our idea of home proved resistant to real change? 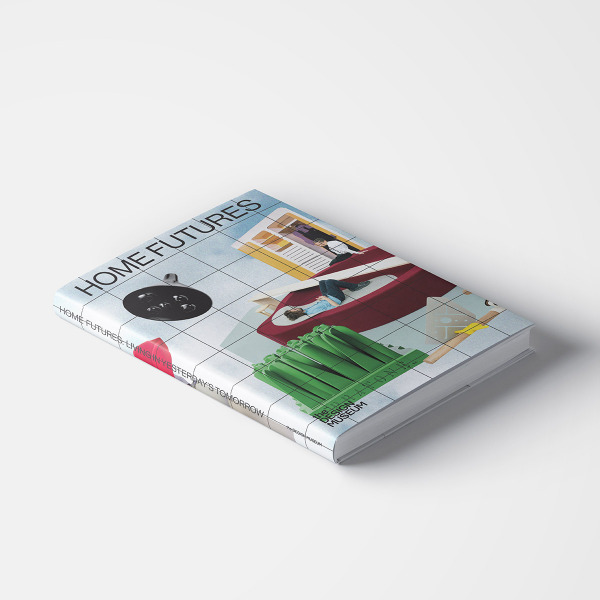 The Home Futures catalogue explores today’s home through the prism of yesterday’s imagination. Alongside original essays by leading voices in the field, this richly illustrated book features more than 200 colour images, organised in six thematic sections exploring privacy, the smart home, compact living, self-sufficiency, nomadic lifestyles and the idea of the home as an idyllic landscape. Ultimately this book proposes that we are already living in yesterday’s tomorrow, just not in the way anyone predicted.